Double Safety Protection, Designed With The Intelligent Semi Conducting Heater..
igh Thermal Efficiency, Saves Power, Circular Flow, Run Up The Airflow And Steam ,Drying Fast,Auto Timer To Switch Off. Can Dry Up To 5-6 Kg Of Laundry After Washing Machine Spin Dry At One Go . Protect Expensive Fabrics (Wool,Silk,Etc) From Damage,Shrinkage And Fading Color. 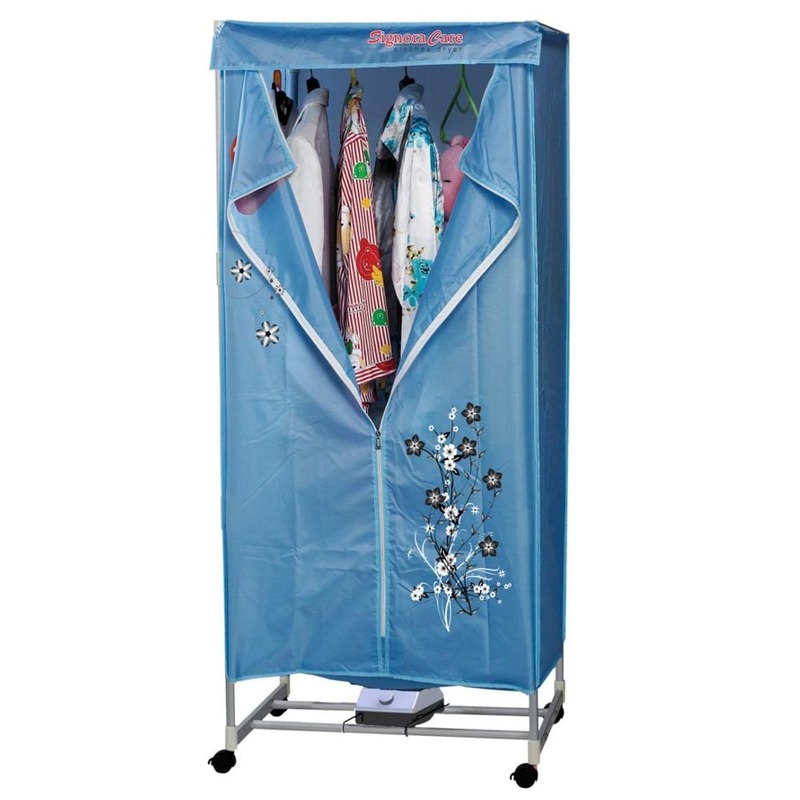 Easy To install and portable.Saves Ironing Time Due To Reduced Creasing. Multi Purpose Use For Pillows,Comforter,Bolsters,Soft Toys,Children Shoes, Leather Bags,Etc.. Saves Ironing Time Due To Reduced Creasing. Get Rid Of Smelly Damp Clothes And Body Order,Kill Germs,Dust Mites,Bacterial,Virus,Etc.